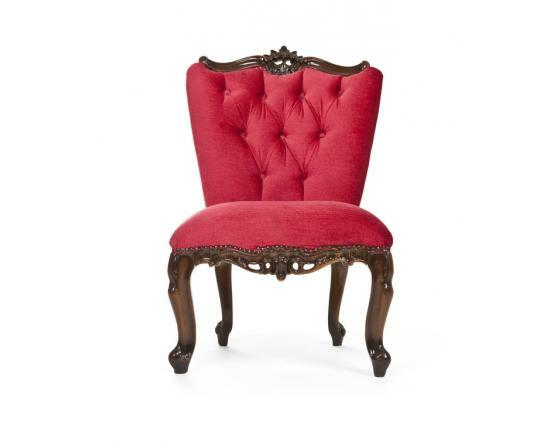 Our ''Emily'' armlesschair adds a touch of a old-world feel to your space. Perfect for when defining the seating space in a larger room. A medium wood finish sets off the delicate embellishments at the base, while the luxurous upholstery keeps the look fresh. The cushions guarantee that this is a chair worth relaxing in, not just admiring from afar. Voluptatem hic est ea iure aut tempora non. Veritatis qui sit cupiditate iure.